Although Puffins and Penguins appear similar they are not closely related. 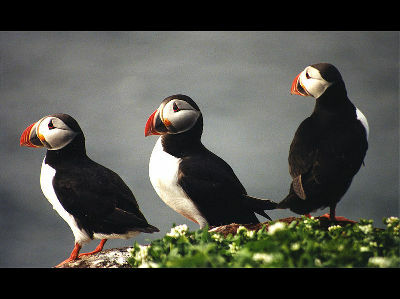 The Puffin's scientific name means "little brother" because puffins sometimes look like they are praying. 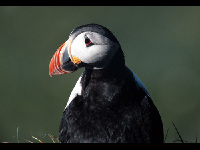 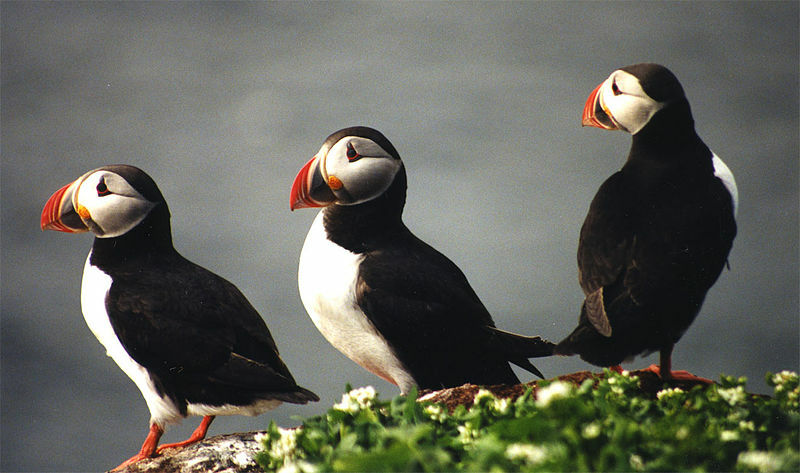 Puffins will carry many fish in their beaks to bring food for their family.